What to do during a period on the ISS, the International Space Station, when you have some free time? 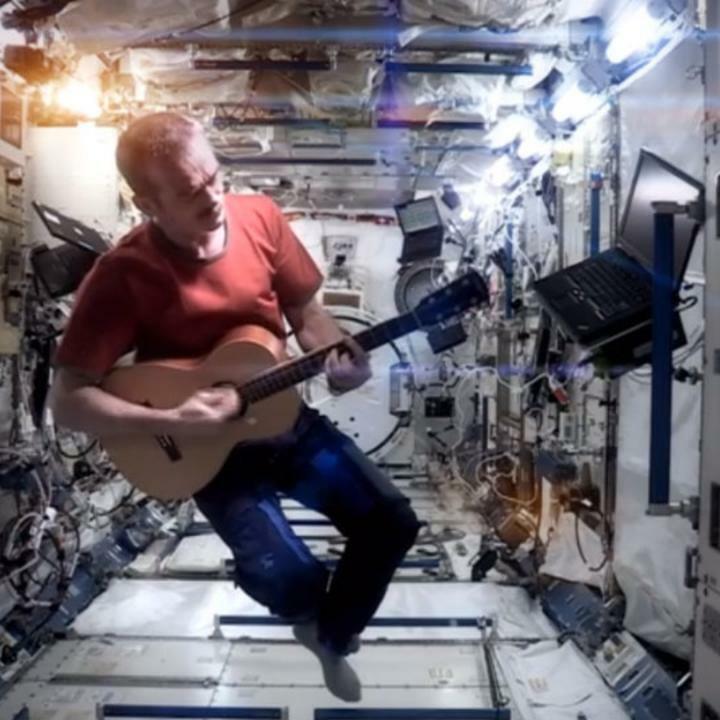 Astronaut Chris Hadfield, who is also a music fan and a fan of David Bowie, he thought to bring a guitar in the space, and to do a cover of Space Oddity, the legendary song that David Bowie published on the day when he left the mission to explore the moon in 1969. Cosa fare, durante un periodo sulla ISS, la Stazione Spaziale Internazionale, quando hai del tempo libero? L'astronauta Chris Hadfield, che è anche un appassionato di musica e un fan di David Bowie, ha pensato di portare nello spazio una chitarra, e di fare una cover di Space Oddity, la mitica canzone che David Bowie pubblicò il giorno in cui partì la missione per esplorare la luna nel 1969.